Windows hints and how tos, Android latest news, and tech history. Windows Services; What are they and is it safe to stop any of them? Windows Services are a core component of Microsoft Windows and enable the creation and management of long-running processes. Services broadly fall into three categories depending on the actions and applications they control: Local Services, Network Services and System. Third party applications such as antivirus and printing software may install their own software. Unlike regular applications, Windows Services do not have a user interface; they run in the background and the user does not directly interact with them. Unless stopped by the user, a Windows Service does not stop when a user logs off the computer; a regular application will. That being said, having a multitude of services running may slow your system down. 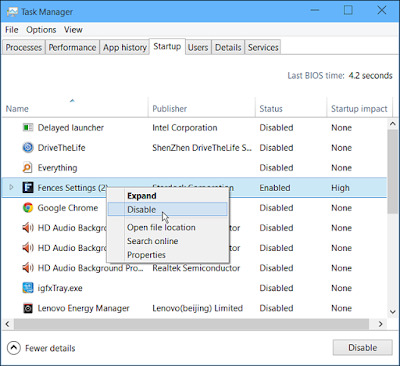 You can stop & disable certain services to speed up your system. Most System services should NOT be stopped, but there are other services which may bog down your system and may be stopped. Before diving into the Services and disabling/stopping certain services it's highly recommended you create a Restore Point and do a backup as well for your documents and pics...etc. This way if things get awkward within Windows, you can go back to the restore point. Windows 10 Services which are safe to disable. 56. Windows Font Cache Service. Britec has an excellent video on which Services you can disable/stop. When consistently downloading and installing programs, in the back of a users mind is that one big question. "Which programs are taking up the most space?" 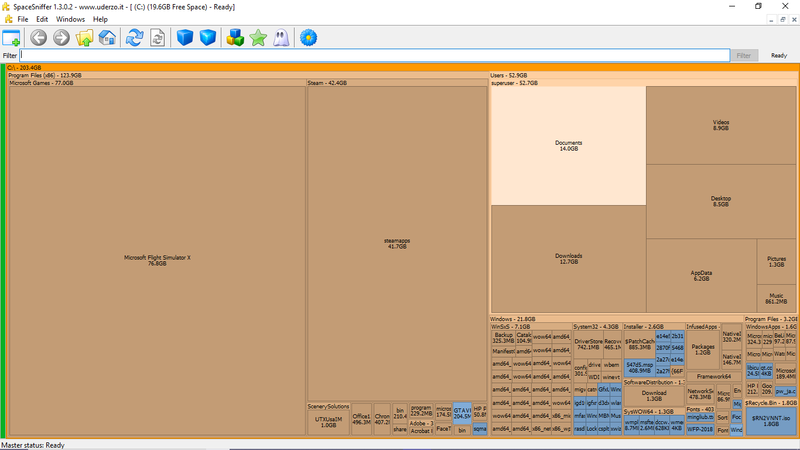 While there are dozens of disk analyzer programs my preference is SpaceSniffer. It's quick in scanning your drive. My 250GB SSD took approx 1:20 at 100% scanning completed. Of course this varies with the drive capacities, amount of free space, and whether it's a standard hard drive or SSD. SpaceSniffer has a few goodies. Besides the graphical GUI, it supports drag and drop, multiple views for different file types, customized search criteria and other features. The website shows it's been tested on Windows 2000 thru Windows 8, however it works with 10 just as well. The web page can be visited here. 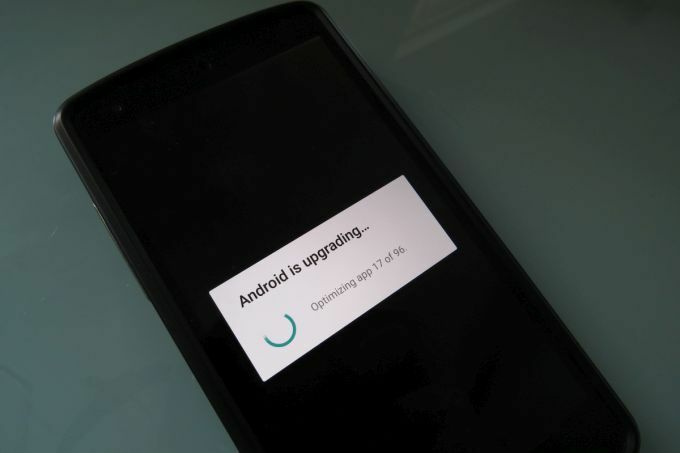 Google is currently developing an Android replacement for Android and the OS already has a name. Fuchsia is based on a new kernel called Zircon.. The project became known in 2016 on Github without any official announcement. 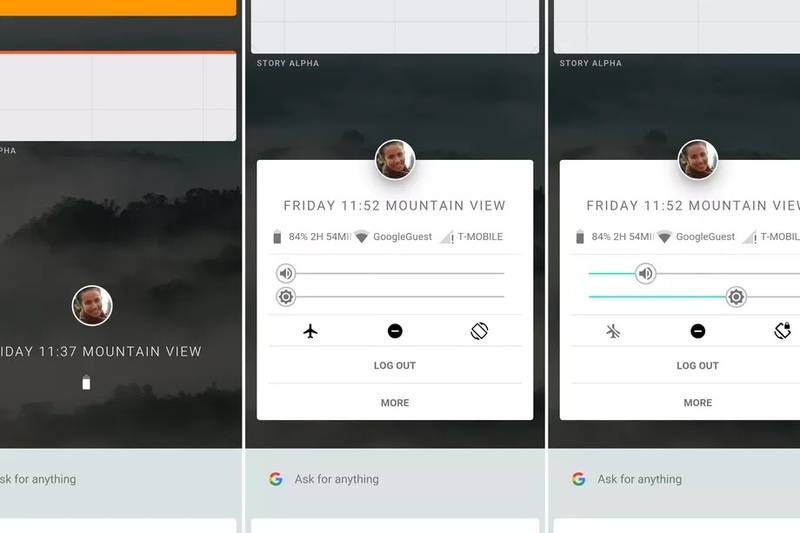 Fuchsia's user interface and apps are written with Flutter, a software development kit allowing cross-platform development abilities for Fuchsia, Android and iOS. Flutter produces apps based on Dart, offering apps with high performance that run at 120 frames per second. Flutter also offers a Vulkan-based graphics rendering engine called "Escher", with specific support for "Volumetric soft shadows", an element that Ars Technica wrote "seems custom-built to run Google's shadow-heavy 'Material Design' interface guidelines". Although it's more on the technical side, the documentation concerning Fuchsia is located at the Google Source website & Document Page. 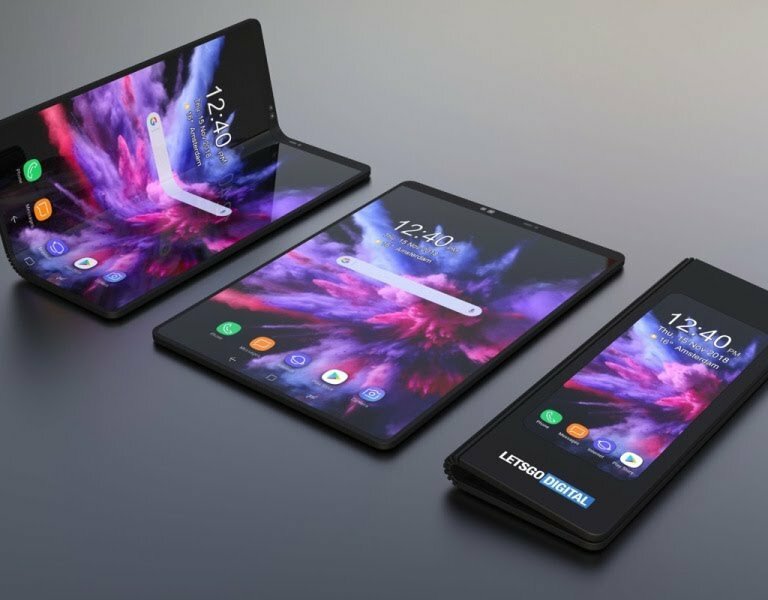 That's a nasty term in the business world and when it comes to new technology such as foldable display patents, its evil and billions in sales are usually lost. Such is the case with Samsung and a little known Chinese company named Toptec Co LTD. Prosecutors for Samsung have indicted a chief executive and 8 employees of Toptec for leaking foldabLe display technology. The group is accused of forming a separate shell company that received confidential information on the use of equipment and drawings of panels obtained from a Samsung subsidiary and which sold some of the documents in China for 15.5 billion won ($13.85 million), the prosecutors office said. Prosecutors also stated Samsung Display invested 150 billion and over six years to develop the leaked foldable display technology of 3D lamination. Your on your couch and you've heard that Oreo is out and available for you phone. Awesome! You want to upgrade so you can try the new Picture In Picture, and New Settings Menu. On your phone you click 'Check For Updates"....and then download Android 8.0.....but what happened months before that update was available? When it comes to getting the latest and greatest version on Android for you phone, it's up to the manufactures (not the carriers) to release the OS upgrades. Android is a Google product....it's also open source. 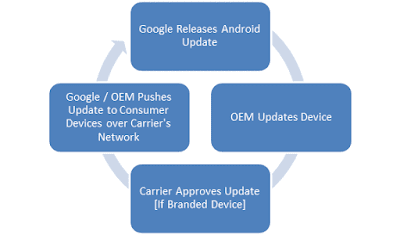 At the AOSP site, manufacturers access the source code, tweak and adapt it to their own devices.The manufactures HTC, Samsung, LG, etc determine what devices on their product line will receive the latest version of Android and which devices will not. Obviously newer devices have priority to keep customers happy and to promote sales. Plus the more recent devices have better compatibility with the latest version of Android. The older the device, the less likely it will get an update. Manufacturers stop developing updates for older devices to drive sales for new hardware and to make the most efficient use of limited resources. But it’s also the case that the hardware in older devices eventually becomes unable to meet the demands of new operating systems. The manufacture then sends their updates to the carriers where they test the update. Whether it's AT&T, Verizon or Straight Talk, testing is very time consuming at this stage. At this point, carriers may add or take out certain features, such as tethering capabilities. update pertaining to your device on a server where it's available to download. Next: Project Treble .....and how the OS framework will speed OTA updates.